Milton, John. 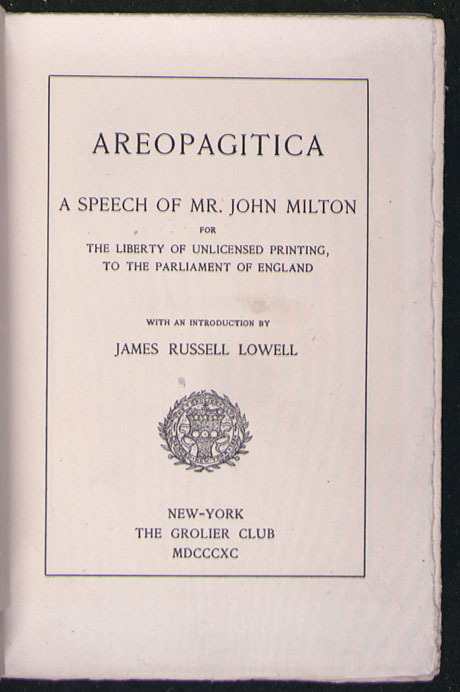 Areopagitica, a Speech of Mr. John Milton for the Liberty of Unlicensed Printing to the Parliament of England. New York: Grolier Club, 1890. 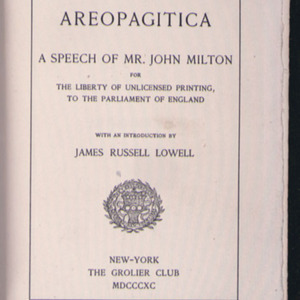 “Areopagitica,” University of Virginia Library Online Exhibits, accessed April 26, 2019, https://explore.lib.virginia.edu/items/show/650.